Voting can be cumbersome and inconvenient. Voters often experience long lines and crowded parking lots when they go to the polls to cast their ballots. Clearly, the inconveniences of voting can discourage voter turnout. Most people would consider this a small price to pay for democracy. However, Colorado is one of three states that has attempted to remedy this problem by conducting all-mail elections. Colorado is known for more than just picturesque mountain views and crystal-clear rivers. The Centennial State touts some of the best education, healthcare, and the best state economy in the nation. To add to this impressive list of achievements, Colorado has been christened as the safest state in the nation to host an election. On November 8, Colorado voters will decide whether to approve a hotly contested measure––Initiative 71––that would make it more difficult to get initiatives on the state’s ballot and to pass proposed constitutional amendments. The so-called “raise the bar” amendment would require that, in order for a constitutional initiative to make it onto the ballot, two percent of voters in each of Colorado’s thirty-five state senate districts sign the supporting petition. Initiative 71 would also require that constitutional initiatives receive fifty-five percent voter approval to pass. Coloradans looking to limit the number of citizen initiatives on the state’s ballots are using an unlikely tool to achieve their goal: the citizen initiative. Supporters argue that a proposed measure on November’s ballot––Initiative 71––would “raise the bar” by making it more difficult to get citizen initiatives on Colorado’s ballots and by increasing the percentage of votes required to amend the state’s constitution. Under Article V of the Colorado Constitution, the ballot initiative is a power “the people reserve to themselves.” Pursuant to this constitutional provision, Colorado citizens can petition to include proposals on general election ballots for new legislation––statutory initiatives––or for constitutional amendments––constitutional initiatives. Twenty-four states allow initiatives, but only sixteen permit that constitutional initiatives go directly on the ballot without first being presented to the legislature. Wondering what the Virginia election code has to say about campaign volunteers and others at the polls? Want context on statutes that govern when voter registration ends in Florida? Curious about how Colorado election statutes impact voter registration lists? 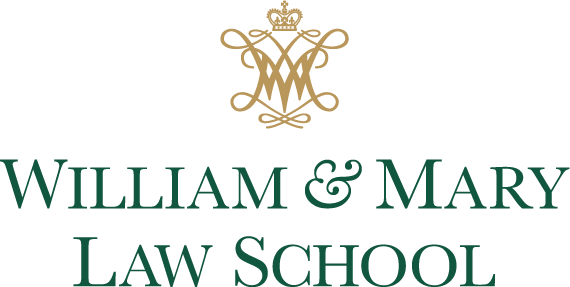 In advance of next month’s election, the Election Law Program, a joint project of William & Mary Law School and the National Center for State Courts, is piloting three online platforms of state election codes in Colorado, Florida and Virginia. Teams of election experts have annotated their state’s election code to give context for how the law operates in these states. In addition, case law, regulations, advisory opinions, and administrative guidance are linked to relevant statutes to provide a full picture of how election codes in Colorado, Florida, and Virginia function. Alexander Hamilton once said, “A share in the sovereignty of the state, which is exercised by the citizens at large, in voting at elections is one of the most important rights of the subject, and in a republic ought to stand foremost in the estimation of the law.” In Michigan, the citizens have incredible power to voice their opinion and influence the sovereignty of their state. Through initiative, Michiganders may propose either a constitutional amendment, which does not require state legislative approval before being placed on the ballot, or state statutes, which must first be submitted to the state legislature for approval before being placed on the ballot. In order to participate in the initiative process, Michigan does not even require that the petitioner register with the state, but rather only requires that the petitioner report campaign contributions in excess of $500. However, petitioners may submit their proposal to the Bureau of Elections in order to greatly reduce the chance that formatting errors will prevent the proposal from being accepted. Fans of direct democracy should be excited about the increased use of state ballot initiatives to legalize marijuana use. Direct democracy allows citizens to enact and change laws, instead of electing representatives to make important decisions for them. One of the ways that the United States utilizes direct democracy is through state ballot initiatives. If a group of voters wants to get an initiative on the ballot to pass a law in their state (there is no initiative process for federal elections), the group must first get enough voters to sign a petition supporting the initiative. The number of signatures required varies by state. If the group satisfies the signature requirement, the initiative is put on the ballot for the next statewide election to be voted on by the people. A county school board recall election in Colorado has brought focus once again to the influence of outside “dark money” on local political races. And campaign finance observers say that much of it will never be traced back to its source because of a confluence between IRS reporting regulations and a 2002 amendment to the Colorado constitution.